The lecture was simultaneously translated into Hindi by Prof. Ms Asha Bakshi, Dean Fashion Design, National Institute of Fashion Technology (NIFT), New Delhi. This invitation to speak at the “Uttar Purva Utsav” organized by the Crafts Council of India at the “Dilli Haat” gives me the opportunity to reflect on my three decade old association with the crafts of the Northeastern Region of India and to ponder on the lessons that we have learned about design and bamboo from the craftsmen of the Northeast over the years since our first contact with their work in the field in late 1979. We began our year long fieldwork November 1979 in the Northeast as part of the project sponsored by the All India Handicrafts Board in those days, now the Development Commissioner of Handicrafts [DC (H)], to study the bamboo and cane crafts of the region which resulted in a book which was eventually published in 1986 by the DC (H) and the National Institute of Design (NID), titled “Bamboo & Cane Crafts ofNortheast India” by M P Ranjan, Nilam Iyer and Ghanshyam Pandya. 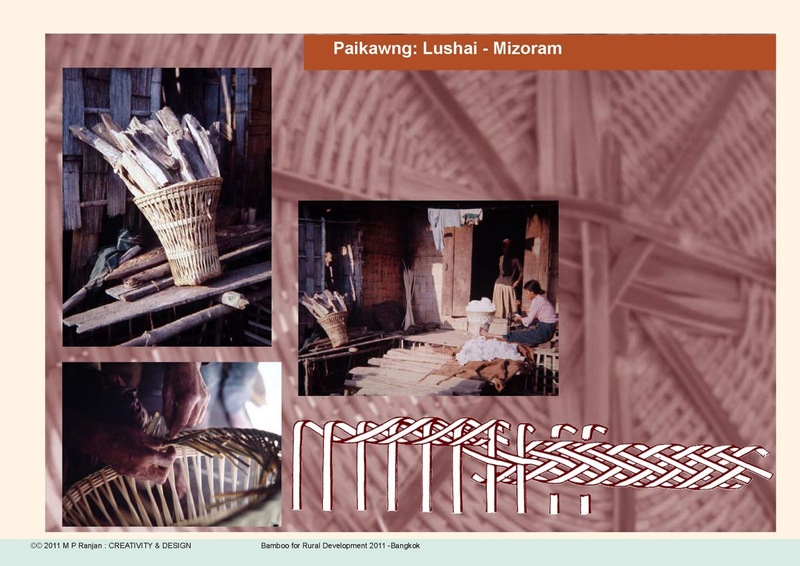 (download pdf 35 mb) It is also an opportune occasion to connect once again with the resources that were generated by that project particularly in the form of the very large collection of baskets that were collected in the field as part of our study and these are today available at the National Crafts Museum and I am told that these are on special display to celebrate the crafts of Northeast and in conjunction with this particular event at the Dilli Haat. The craftsmen and the crafts promoters are invited to visit the National Crafts Museum at Pragati Maidan and see for themselves the quality of crafts that is still a living tradition of the region as these products are still in active use across the region but times are changing fast and these may not remain that way for very long. Digital pdf copies of my book can be downloaded from my website and in-print copies of the paperback edition (2004) are available from both NID and the DC (H) and the original hard-bound edition (1986) is now out of print. I must share the learning that we were able to glean from our journeys into the Northeast as well as from our interactions with the local craftsmen which was followed by a period of deep study that we could invest into the collection of 400 baskets that we had gathered during our field work in the Northeastern region. Besides giving us numerous insights about bamboo that were invaluable we were also quite surprised to see the deep appreciation of design principles that were both applied by the craftsmen as well as something g that we found embedded in the range of products that we had collected in an extremely selective manner during our year long field work in the seven states of the Northeastern region. Now Sikkim has been included in the definition of the Northeastern Region and rightly so, since these states share so many common characteristics with each other while keeping their individual identities intact. Learning from the Northeast’s craftmen was an exhilarating experience and in all very enriching experience. As a designer and a design teacher traveling with two colleagues through a culture that was rich with knowledge about bamboo and design it was a stimulating experience for us and a huge source of new learning from the field. This learning we tried to capture in our book about the Bamboo and Cane Crafts of the Northeastern Region and while the content may look like a normal documentation a look at the back of the book will reveal two indexes, one a “Technical index” that captures all the nuances of the local wisdom across many fields and the other a “Subject index” which links and makes accessible word concepts as they appear across the book. Our sense of amazement at each product that we saw and the level of detail to which the thought process had helped evolve that product was always a source of great pleasure and amazement and admiration. 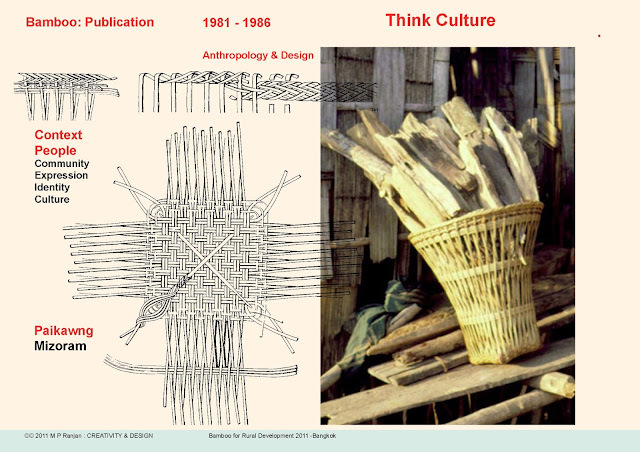 From all these products I would like to draw out one specific example, The Paikawng, a Mizo basket used for carrying firewood, not because it stands above the rest but simply because it is one of many products that come to my mind as I stand here and reflect on our deep learning from the field about design itself. I will therefore use the example of the Paikawng to set out the boundaries and contours of the three orders of design as they appear in the fine hand crafted baskets of Northeast India. Let us take the Paikawng and examine it at the level of material and form – this basket is made of long strands of stout bamboo splits that are first interlaced to form a square base before these are bent up to form the sides of the basket. In forming the sides these very same splits form elongated hexagons that are a result of the three horizontal bands that anchor the inclined verticals between the base and the rim structure. At the rim these splits are each divided laterally into a number of sub-splits which lend themselves to a form of braiding so as to create a wide braided band that is both soft as well as very strong but being flexible. The material of the split is thus transformed at each stage, the base as flat and wide, the sides as thick and stiff and the rim as soft and flexible, while still remaining one single piece of bamboo that is responding to a particular structural need at the point where it is needed. The four corners of the square base are covered by a interlacing knot made of cane splits which does not unravel if some of the overlapping strands are cut while the basket is in use. This lends the basket a degree of toughness that is essential for the intended function, which is to carry rough cut fire-wood from the field to the home and this brings us to the second order of design. The Paikawng has this distinctive character and can be recognized as a typical Mizo product both by the Mizos themselves as well as by those around them. The braided band at the rim has a distinctive name in the Mizo language – it is called “vawkpuidang phiar”, meaning “the braided pattern of palete of the pig or sow” which has a similar knitted pattern. These stories bring value to the product that goes far beyond its material and utility value that is usually embedded in such functional products. We need to recognize the characteristics that these three orders of design bring to the contemporary products of our own society and in doing so we can learn to enhance the value that it brings to the market as well as tone the quality standards that are applied to each instance of these products at the various stages of production, marketing and utilization in the society. As a professional designer he has handled many design projects for industry, government and international agencies in areas of product design, interior design, exhibition design, craft design and design policy. As Chairman of NID's consulting Design Office from 1981 to 1991 he was responsible for managing over four hundred professional design projects handled by the Institute in that period. He has headed the NID’s Publications and Resource Centre as well as the Information Technology initiatives as Chairman Computer Centre and Head Apple Academy at NID. He completed several major projects for the UNDP and Government agencies to demonstrate the role of bamboo as a sustainable craft and industrial material of the future. These innovations contributed to the creation of new strategies for the use of bamboo in India. M P Ranjan was born in Madras in 1950 and after his schooling and junior college there he joined NID as a design student in 1969 in the PG programme in Furniture Design. He joined the Faculty at NID in 1972 and for a short while, between 1974 and 1976, worked as a professional designer in Madras before returning to NID as a full time faculty member in 1976. He now teaches fulltime at the National Institute of Design, Ahmedabad. He is on the Governing Council of the IICD, Jaipur and is the Chairman, Geovisualisation Task Group set up by the Department of Science and Technology, Government of India. In 2007 he created and launched a blog called “Design for India” on his thoughts on policy initiatives for the spread of design in all sectors of the Indian economy. I was invited to write a reflective piece on the connections between the design pedagogy of the National Institute of Design, Ahmedabad and that of the HfG Ulm to be included in a proposed issue of the Bauhaus Dessau Foundation’s magazine issue that would look back at the impact of the Bauhaus and Hfg Ulm on the Tropical nations of the world long after both these German schools were shut down for different reasons. I have been researching their connections with India for many years and this invitation gave me an opportunity to continue my research a bit deeper into the connections between the schools. 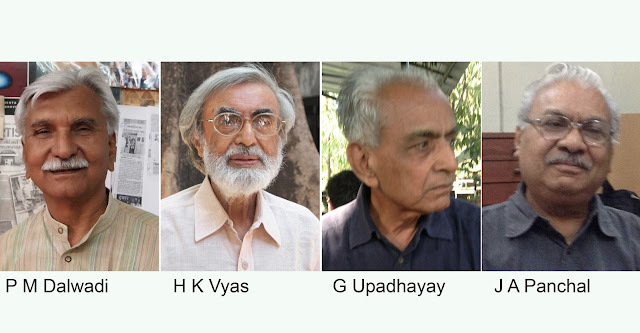 I interviewed four former NID faculty who had studied and worked closely with faculty from HfG Ulm in the early 60’s when the NID was being founded at Ahmedabad and used this to build my paper. Interesting new facts were revealed in these interviews and we will need to do more before we have a deeper understanding of the real influences and how these have shaped the foundation of design education in India. My paper was not carried in the Bauhaus 5 – Tropics issue released in June 2013 but on pages 76 to 79 they carried a brief interview with me about a set of questions that their editors had set for me to respond. However, they have also provided a link to my blog “Design for India” www.designforindia.com and their own website at www.bauhaus-online.de for extracts from my paper that is reproduced below in full text. Image: Paramanand Dalwadi, H Kumar Vyas, Gajanan Upadhayay and Jayanti Panchal — all former Faculty of NID who had close connections with HfG Ulm in the 60’s and later. In his 1999 article titled – The “Ulm Model” in the Periphery – Gui Bonsiepe discussed the various manifestations of the “Ulm Model” especially its reach and establishment In India in the process of bringing design education to India. He states – “HfG influences had a part in the founding of the National Institute of Design (NID) at Ahmedabad in India, where HfG faculty members gave guest courses (Hans Gugelot, Herbert Lindinger, Wolfgang Siol, Christian Staub and others). These institutions based themselves in policy, design, curriculum and teaching methods (problem based learning in design courses), on the experience of the HfG. This experience was brought to them through contacts with HfG faculty members, through Ulm alumni who came there to teach, and also through the publications of the HfG, especially the magazine Ulm.” This statement from “Ulm Design” (1999) provided the setting for me to research deeper the connections between HfG Ulm and NID in the early years as well as in contemporary times particularly in the context of the invitation from the Bauhaus Dessau Foundation who are setting up a retrospective of the exhibition that had been shown in Calcutta in 1922 that included works of the Bauhaus of which very little is known here in India in the context of the arrival of modern design and its taking roots here in India. Little is also known about the various connections between the HfG Ulm and NID and I used this occasion to try and correct these lacunae. Image: HfG Ulm Faculty (from top left clockwise) — 1. 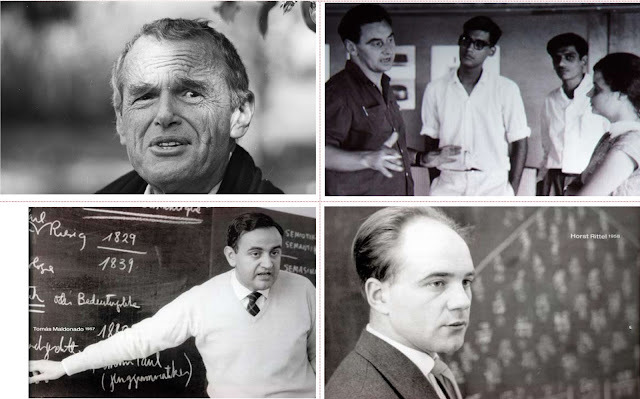 Visiting faculty at HfG Ulm and at NID - Charles Eames. 2. Hans Gugelot with architecture students at NID in 1965, 3. Horst Rittel author of "wicked problems" and 4. Tomas Maldonado author of "Design, Nature, Revolution". I had detailed interviews and video recorded four former NID faculty who had substantial contact with Ulm and Ulm faculty in the 60’s and 70’s and these interviews as well as other resources and information available with me I proceeded to build the final article. I interviewed Kumar Vyas who started the Product Design Programme at NID in 1966 after spending 11 months at Ulm in Gugelot's office in 1965-66, Paramanand Dalwadi who set up the NID Photography Department was a student of Christian Staub at NID in 1963-66 and Wolfgang Siol at Ulm in 1970. 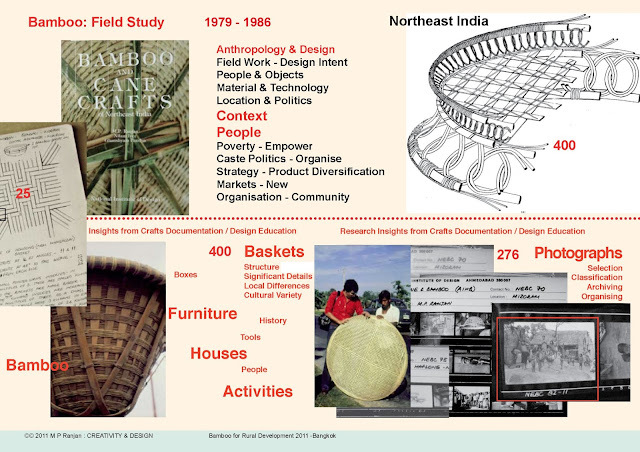 Gajanan Upadhayay started the Furniture Design activity at NID and worked with Hans Gugelot during his brief visit in 1965 and finally Jayanti A Panchal who also worked with Hans Gugelot in 1965 on the tangential fan project at NID and later went to Gugelot office in 1970-71 as a product-engineering designer. All of them had intense interactions with Prof Hans Gugelot when he visited NID in 1965. As we know Hans Gugelot passed away in 1965 some time after his return from India but not before he had set up the faculty training exposure programme for Kumar Vyas to undertake at Ulm over 11 months in 1965-66. I also got in touch by phone with Prof Sudha Nadkarni in Mumbai and reviewed his papers for the Ulmer Model Exhibitions in 2010 at Ahmedabad and Bangalore. Sudha Nadkarni studied at HfG Ulm from 1962 to 1966 and came back to India to work at NID 1966 to 1969 and then went on to set up the Industrial Design Centre at IIT Bombay in 1970. Kirit Patel of CEPT University had apprenticed in Frei Otto's studio in the 80's and this interview too provided insights about the approach to design that was followed by one of the prominent guest faculty at HfG Ulm. It was this Basic Course that Kumar Vyas understood deeply at Ulm and introduced to the new batch of Product Design students when the Postgraduate course was offered to graduate engineers in 1967. The NID documentation from 1964-69 shows examples of the Basic Design assignments as well as the early projects and the methods used in these projects that echo the Ulm paradigm as well as the muted shades of grey and colours that were a hallmark of the HfG Ulm way. According to him, while the spirit of Ulm may have directed the assignments a lot of innovations were brought into the teaching to meet local needs and challenges. I joined NID as a student in the postgraduate programme in Furniture Design in 1969 and Kumar Vyas, Sudha Nadkarni and Rolf Misol conducted the interview. While the Furniture Design projects that started from day one were formulated by Misol and his teacher and chief consultant, Arno Votler, the Basic Design assignments conducted by Kumar Vyas were the same as those done by the Product Design students. The evening discussions that we had with the Product Design students and those from Graphics and Textiles did show different threads of pedagogy that were being explored at NID by the various departments and each was informed by the specific positions of the selected consultants and visiting faculty who were involved in these programmes. While Product Design was based on Ulm the Graphic Design programme was modeled after the Swiss school at Basel and the Textile Design programme came from Cranbrook and the Scandinavian traditions of weaving. Furniture Design and Ceramic Design had German consultants to set the curriculum and to conduct the early programmes. Arno Vottler and Hans Theo Baumann developed the Furniture Design and Ceramic Design programmes respectively. Image. 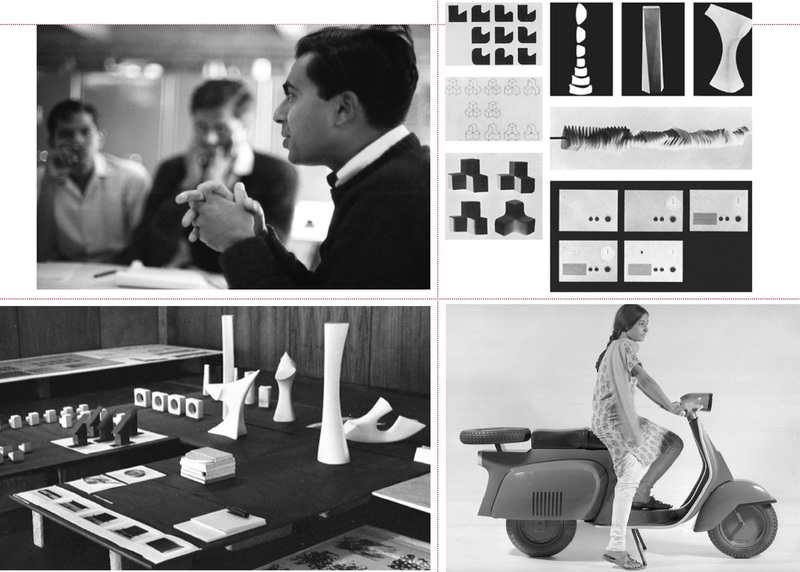 H K Vyas conducting class at NID in 1967 and Exhibition at NID of basic design work done in the first Product Design programme in 1969 and GIRNAR scooter designed by H K Vyas and Sudha Nadkarni with J A Panchal in 1969. NID too had a large number of visiting consultants and guest faculty members in the formative years and many were involved in project work where students actively participated. The first of a string of major exhibition and multidisciplinary projects was the designing of the Nehru Exhibition and in 1964 the entire team of faculty and students in the Graphic Design and Architecture programmes were involved with the team from Eames Office and this helped set up a very vibrant work culture at the new Institute located in a building that was designed by Le Corbusier where NID had access to the loft spaces which had been suitably modified to start the school of design and host its activities till the new building was made ready across the street at Paldi in Ahmedabad. Gautam and Gira Sarabhai with their vast network of contacts in the art and design community worldwide were able to attract the best talent available to Ahmedabad and with the generous grants from the Ford and Rockefeller Foundations the talent pool, that they assembled reads like a who’s who of world design and the students and faculty were exposed to these ideas and work methods. This procession of international talent continued well into the late 80’s with the support of the development grants from the United Nations Industrial Development Organisation (UNIDO). The first UNIDO- ICSID conference on Design for Development was held at NID Paldi campus and at IDC in Mumbai in 1979 and amongst the speakers were Victor Papanek and Gui Bonsiepe along with designers from Europe, Asia and Latin America. I mention this here since NID had been evolving internally as well towards development oriented design action and there was much discussion at the Institute on what would be an appropriate of design action for a country like India and these debates continued to impact the education programmes at the Institute over the years. For the formulation of the Product Design programme Kumar Vyas was asked by Gautam and Gira Sarabhai to stop by at HfG Ulm in early 1965 on his way back from the opening ceremony of the Eames designed Nehru Exhibition that opened in New York. This halt at the HfG Ulm turned out to be quite significant for the NID’s Product Design programme. Kumar Vyas met Hans Gugelot there and it was agreed that Gugelot would travel to India and help in the formulation of the new programme for the NID. Gugelot traveled to India in the summer of that year and spent a little over two weeks working with NID designers and craftsmen to develop the new pedestal model of the tangential fan with Kumar Vyas and Jayanti A Panchal and with Gajanan Upadhayay a range of furniture using wooden strips in a T section arrangement and canvas and plywood strips inserts for stiffness. The model making for the tangential fan was made by the legendary Haribhai, a Guajarati craftsman and carpenter of fine skills and an amazing ability to make models in a wide range of materials, plastics, metals and woods. The wooden furniture system was detailed and developed by Gajanan Upadhayay and he made the full set of scale models as well as the prototypes himself. Gugelot returned to Ulm but passed away before Kumar Vyas could commence his planned training programme at his office in Ulm. Kumar Vyas did however travel to Ulm and work under the guidance of Herbert Lindinger at HfG Ulm and Horst Diener at the Gugelot office where he spent the next ten months understanding the Ulm approach to design education and practice. He also met and befriended Sudha Nadkarni at HfG Ulm and this set the stage for the next level of partnership since Nadkarni joined NID as a faculty and designer and worked there from 1966 to 1969 before moving to Bombay to set up the IDC as part of IIT Bombay. Jayanti A Panchal traveled to Ulm in 1974 to work in Gugelot’s office under E Reichl and Horst Diener and during this period worked on many ongoing projects of the office as a design engineer. Photography Department at NID was set up by Christian Staub who lived in Ahmedabad for three years and trained the early students at NID including Paramanand Dalwadi who became the main photography faculty at NID after his period of training at NID under the mentorship of Christian Staub. Dalwadi recalls that period with warmth and deep respect for his classical perfection in his work. Staub introduced Dalwadi to the finer aspects of photography, camera work as well as lab and darkroom techniques and in his own words gave him confidence to teach the subject as well as carry out complex professional tasks in studio and architectural photography using various formats that were available at NID. The assignments were all refined at HfG Ulm these formed the basis of teaching at NID as well. In 1969-70, Dalwadi was deputed for training at Ulm under Wolfgang Siol for four months and there he had complete access to the equipment in the studio although he arrived as an apprentice from India. This gave Dalwadi insights into the Ulm classic techniques of “isometric photography” that was achieved by perspective correction and appropriate camera position in relation to the subject, unwritten rules of composition learned by practice and attention to detail. He had another occasion in 1974 to return to Siol’s studio and spend one month there to be immersed in the studio practice as a refresher dose. Dalwadi had joined NID as a student in 1963 and he started teaching at NID and built his own reputation as one of India’s leading photographer and teacher. Herbert Lindinger tells us – “The HfG was planned as a place for experiment, an institution open to new hypotheses, theories, and development, in itself the enormous preponderance of guest instructors (around 200) as opposed to permanent faculty members (20) led to a sustained dynamic, a constant state of mental unrest. The list of those guest instructors, then still young and largely unknown, now looks like a Who’s Who of science, literature and art.” Lindinger visited NID in 1970 to review the new curriculum for the undergraduate programme that was started then. Klaus Krippendorff whom I met at the IDSA conference in 2006 writes about his experiences at Ulm where the visiting lecturers and faculty included Charles and Ray Eames (1955 and 1958), Buckminister Fuller, Bruce Archer and Horst Rittel, his favorite teachers. Krippendorff’s paper of 2008 states – “The school seemed to look for students who connected intellectual, cultural, political and technological conceptions and willing to act.” He also has a comment on the politics of the HfG Ulm and he states – “Perhaps the lack of appreciation of the virtues of higher education by the design faculty explains at least part of its shortsighted politics.” This seems to be true of NID as well as other design schools in India where a lack of scholarship and publication is sometimes seen as a virtue. 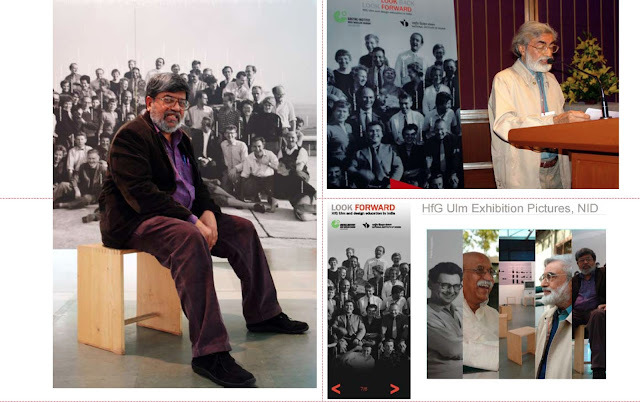 Tomas Maldonado and Gui Bonsiepe provided intellectual leadership to several generations of Indian students as well as faculty at both NID as well as IDC through their sustained efforts to publish the HfG Ulm Journals and books in later years that were followed with awe and respect. NID Library had a bound volume of these and many of the assignments documented here were also followed explicitly at NID as well as at IDC over the years. 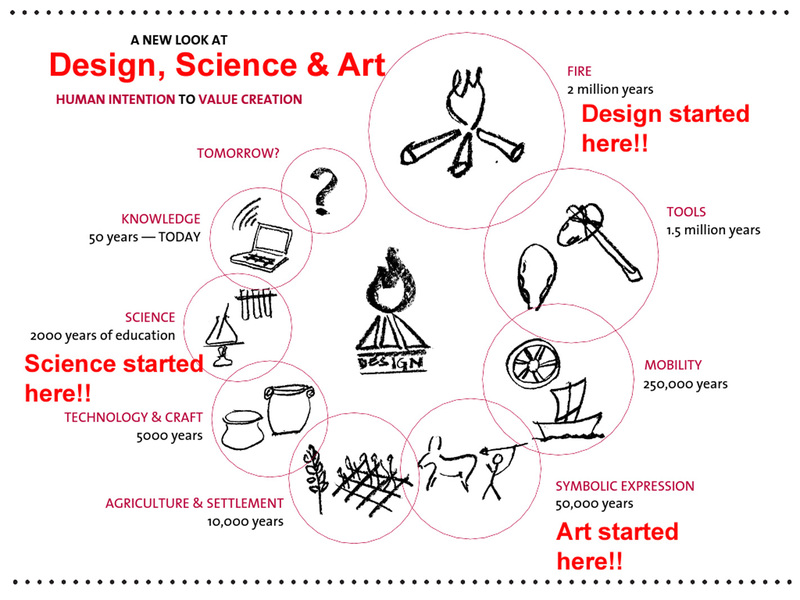 For instance in Ulm Journal 10-11, Maldonado and Bonsiepe argue for a unique position for design and design thinking in a world dominated by science. This is a position that we are still to resolve and in my view an important debate that will continue to attract research attention for years to come. I met Bonsiepe on his several visits to India and also Maldonado when I made a visit to Milan in 2010 and I interviewed him on a number of research questions that I had in mind that stemmed from his perceptive writings. Image. Look Back Look Forward workshops were conducted at Bangalore and Kolkatta in 2010 to accompany the traveling exhibition of the HfG Ulm work and design pedagogy. These workshops looked at the impact of HfG Ulm on design pedagogy in India and at basic design education in particular. Prof M P Ranjan (sitting on the Ulmer Stool) chaired the two conferences along with Suchitra Balasubramanian, Prof Sudha Nadkarni and Prof Kumar Vyas (seen above) were keynote speakers at the Bangalore event while Prof Kirti Trivedi delivered the keynote at Kolkatta. In 1994 Kirti Trivedi of IDC approached me at NID to obtain Xerox copies of Ulm Journals in the NID Library. He used these as a backdrop for the conference at IDC, “Ulm and After” and selected papers were reproduced in a book for the benefit of Indian teachers for the first time. In 2010, NID in collaboration with the Ulm Archives and the Max Muller Bhavan hosted the traveling exhibit at Ahmedabad and later at Bangalore and Kolkatta. I organized the conferences titled Look Back Look Forward: HfG Ulm and Design Education in India at Bangalore and another on Basic Design at Kolkatta and we released a digital set of the Ulm Journals for Indian academics for the first time and since then these have been available for a wider audience. The impact of these Ulm Journals on design education is still unfolding and they will be in active use for many years to come I am sure. 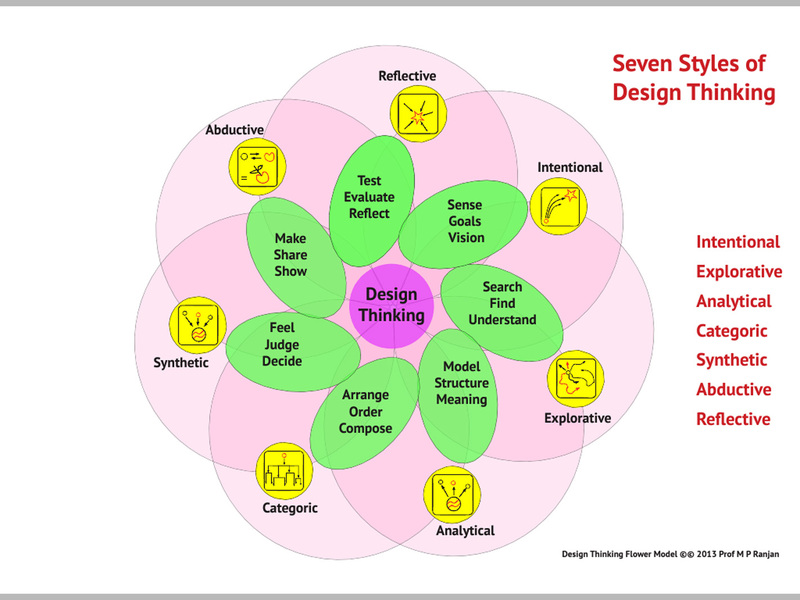 Science and Design article raises many research questions about the nature of design and science that are still active in our debates on various online discussion lists to this day. HfG Ulm had raised these in their corridors and these questions still reverberate in our minds. The HfG Ulm is a rare case of design thought and action that was both intense and comprehensive and the various threads that started there may need to be followed up by current day researchers to build a body of scholarship that will help put design at a new level of acceptance in India and elsewhere. 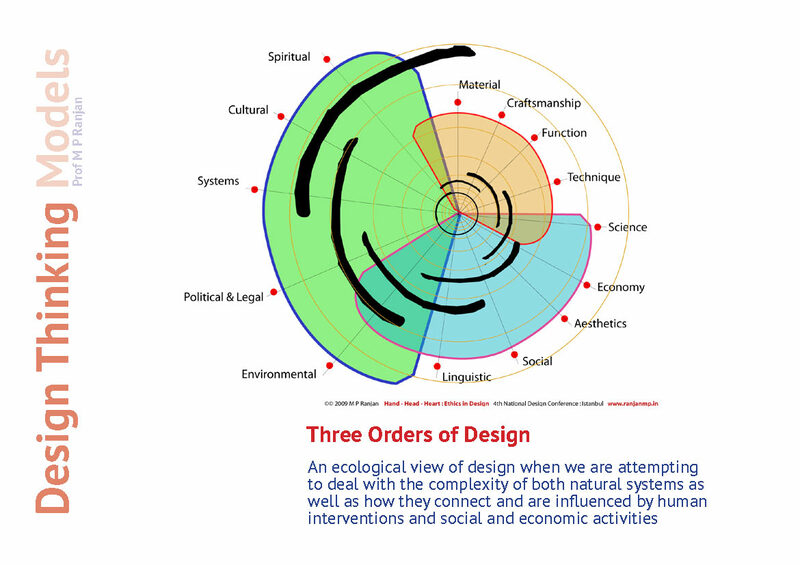 One wonders what discussion Eames had the HfG in 1955 and 1958 and what impact if any it had on the Eames Report of 1958. 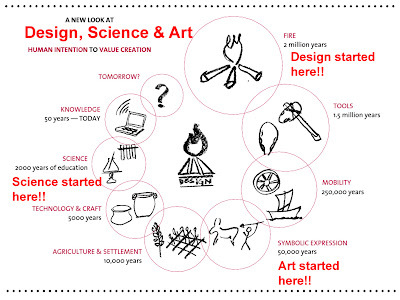 I also wonder what roles Guest Faculty could play in Design schools of the future, particularly in the transmission of knowledge and cross fertilization of ideology and techniques that seems to get lost in the implementation of narrow curriculum that is being attempted here in India in an effort to expand the reach of design education without adequate research. I believe that the seeds of these questions and their answers lie in the archives and memories of Ulmers, NIDians, IDCians and others and this need to be researched urgently. I traveled to Ulm in 2005 at the invitation of Rene Spitz to be part of the round table organized there. 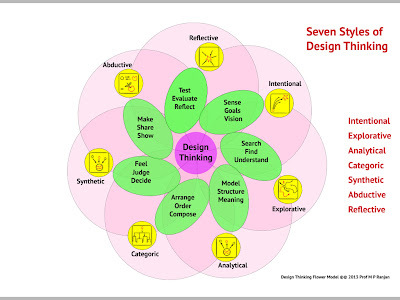 I followed this with another visit in 2008 when I had a memorable experience of staying at the HfG Ulm campus in a faculty studio thanks to the hospitality of Nick Roerich and the Ulm Archives and I hope more researchers will explore this rich space to appreciate design and shape the education of the designer of the future. The Max Bill building of 1953 is still in pristine condition and the Ulm Archives has now moved back to the campus and this bodes well for future research on the people and activities at HfG Ulm that has had such a huge impact on the world of design education. 15. Herbert Lindinger, Eds., Ulm Design: The Morality of Objects, Hoschule fur Gestaltung – 1953 – 1968, MIT Press, Cambridge, Mass., 1999. Prof M P Ranjan is a design thinker with 40 years of experience in design education and practice in association with the National Institute of Design. He helped visualize and set up two new design schools in India, one for the crafts sector, the IICD Jaipur and the other for the bamboo sector, the BCDI Agartala. His book Handmade in India is a comprehensive resource on the hand crafts sector of India and was created as a platform for the building of a vibrant creative economy based on the crafts skills and resources identified therein.